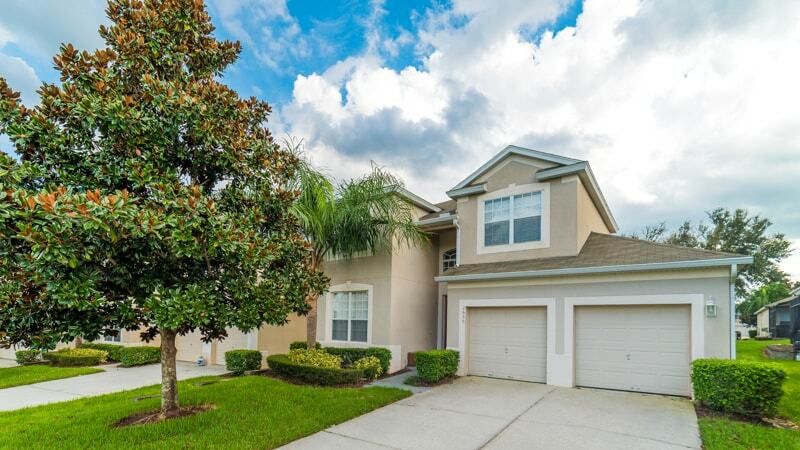 Get ready for a whole new way to vacation by staying in this alluring 5 bedroom 5 bathroom home located in the resort community of Windsor Hills. 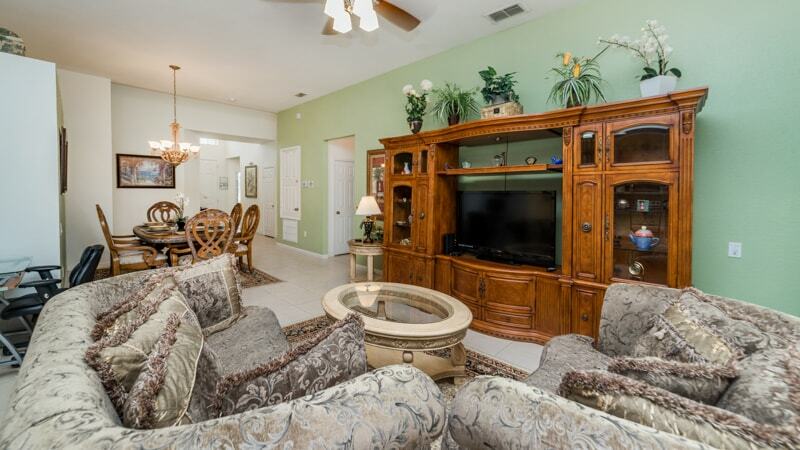 This open concept home is perfect for your vacation and designed expertly as a part of the grand collection. 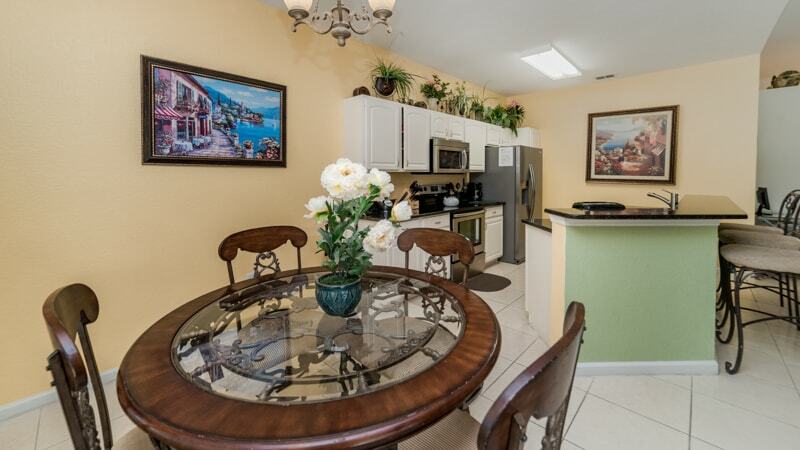 With surprises around each corner, everyone on your vacation will be happy! 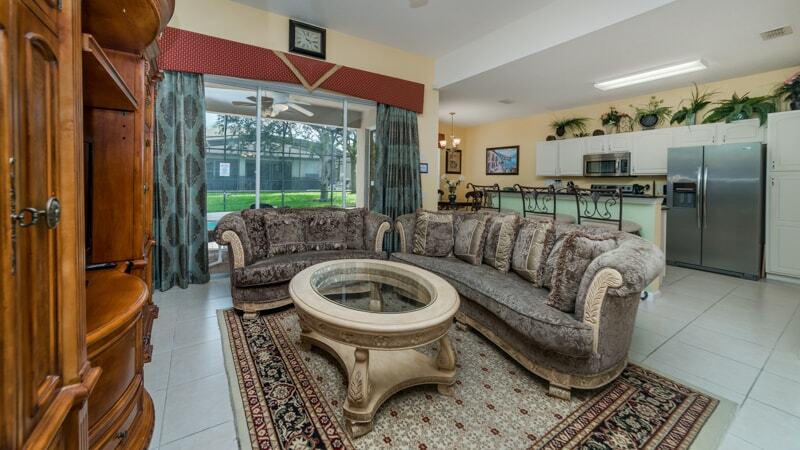 First, the living room is situated perfectly to overlook the pool area and designed around the 50” flat screen TV. 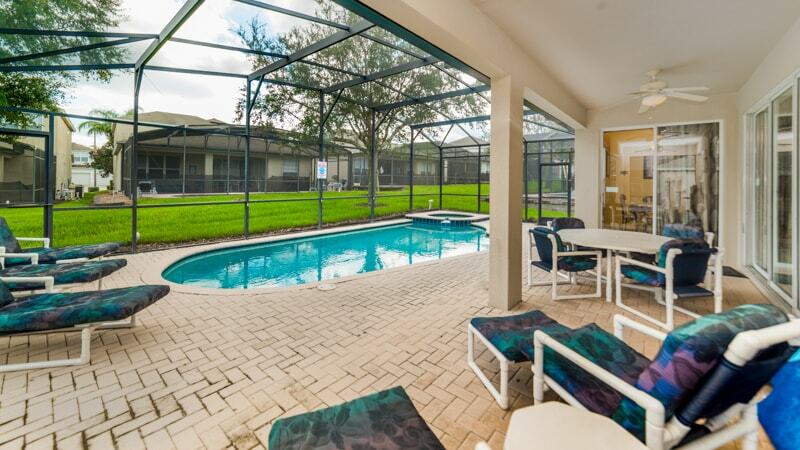 The sliding glass doors easily convert this space into an indoor-outdoor living room. 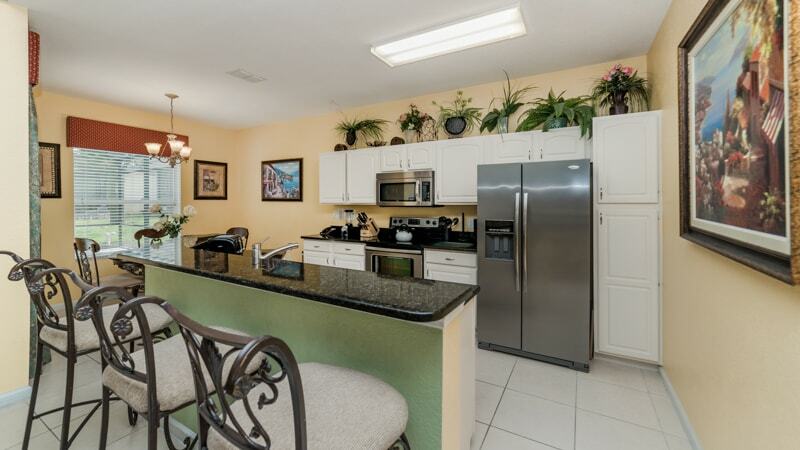 The kitchen overlooks the living room and features granite, stainless steel appliances and new cabinetry. 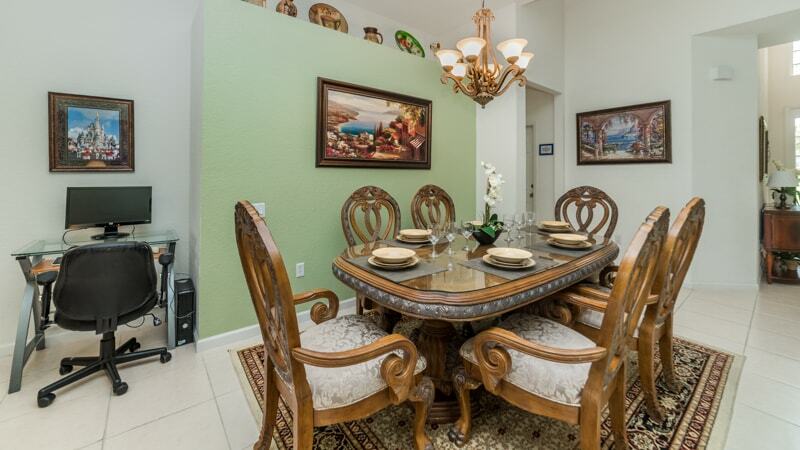 The dining room table, breakfast nook and breakfast bar seat a total of 13- plenty for big family meals. 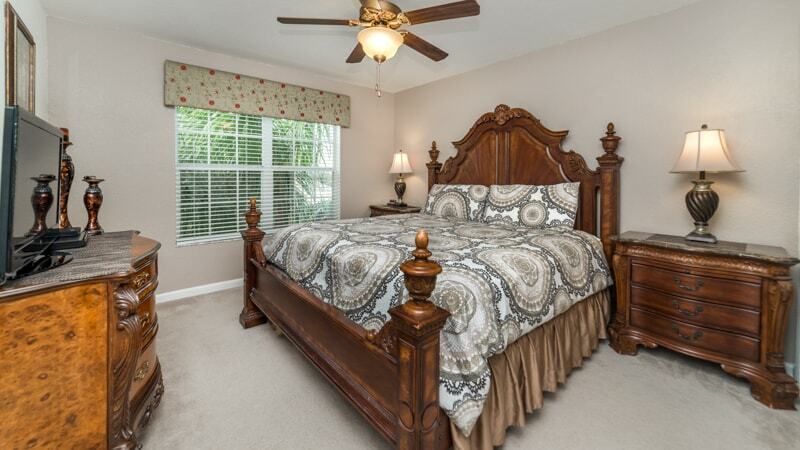 The rooms in this house are where the magic comes alive. 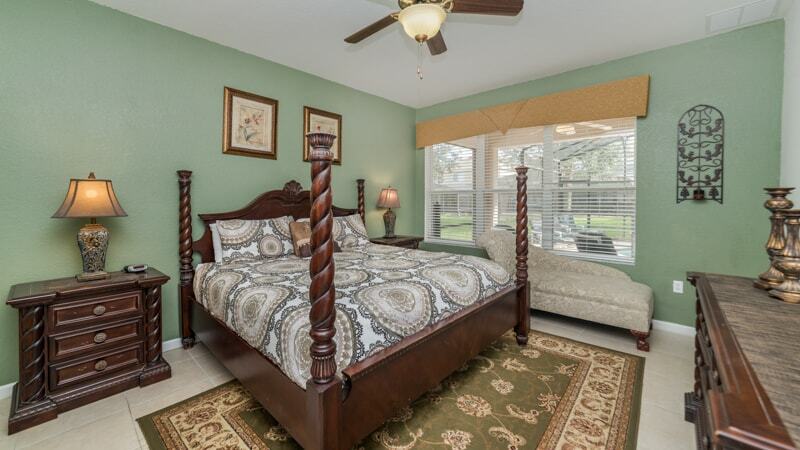 The master bedroom and guest have 2 king beds. 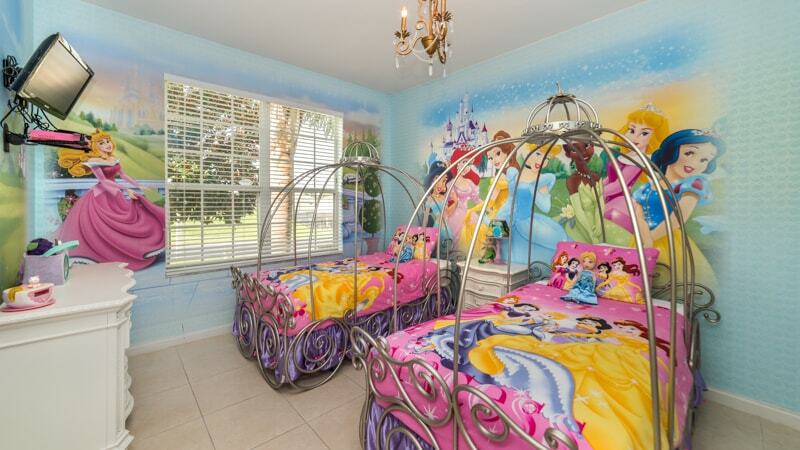 Another has 2 twins and a Princess decorated room. 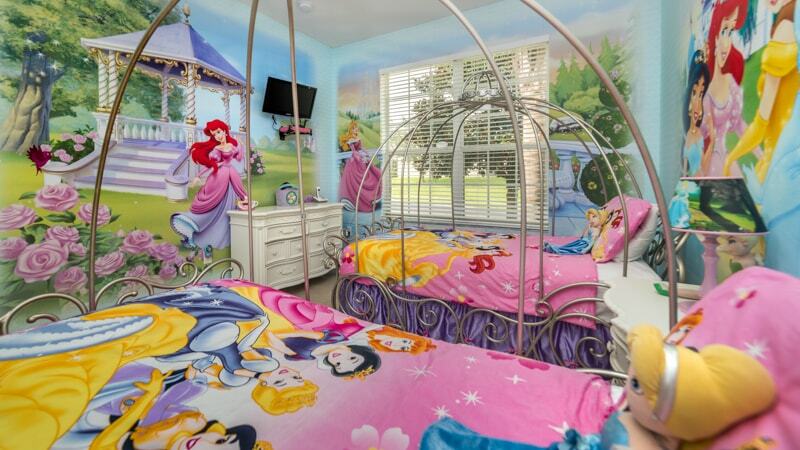 Fall asleep to the voices of your favorite princesses in this room. 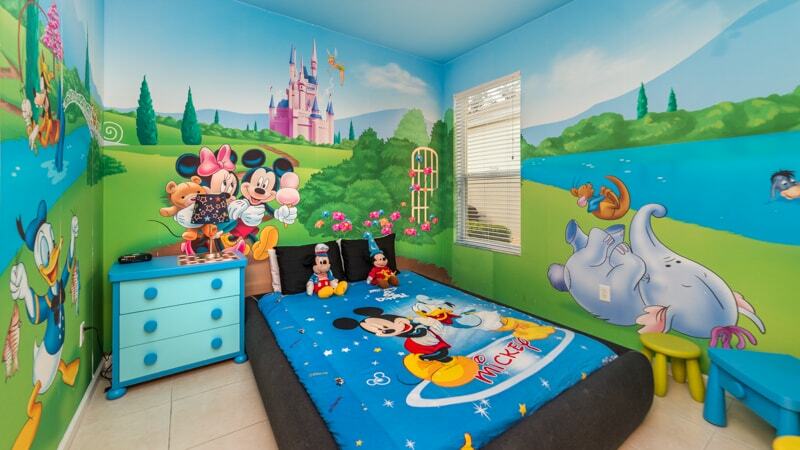 Another room, with one twin is all about Mickey and Minnie. 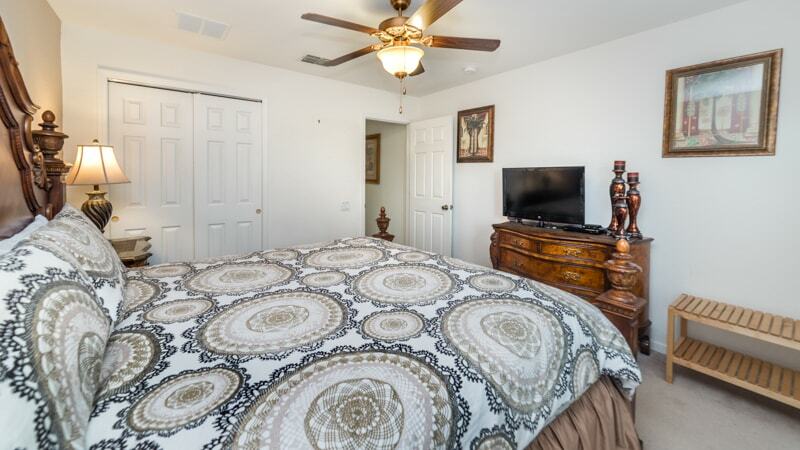 Sleep next to the famous duo here! 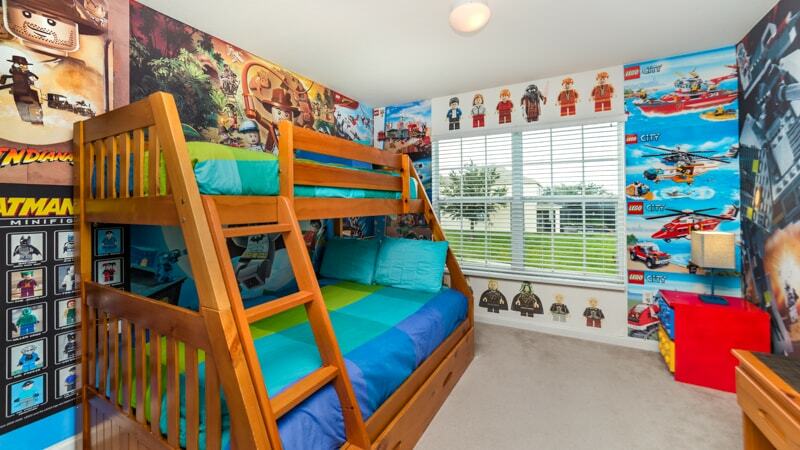 Lastly, another room features a twin over full bunk bed and is themed with Legos in mind. 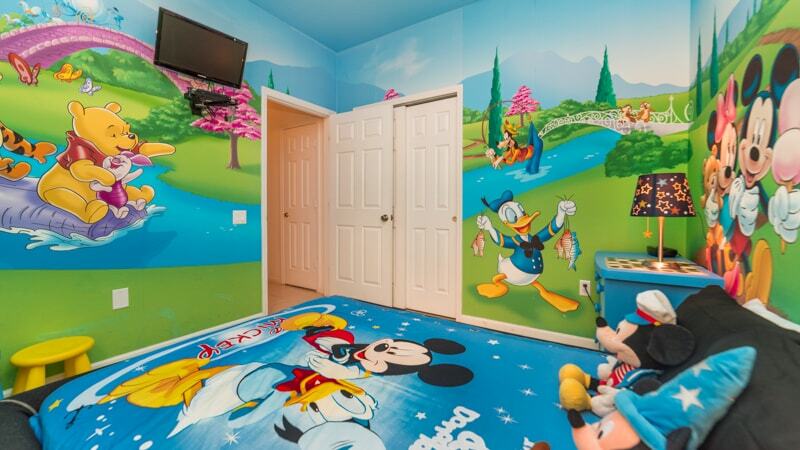 Any of your little ones will have the best stay here! 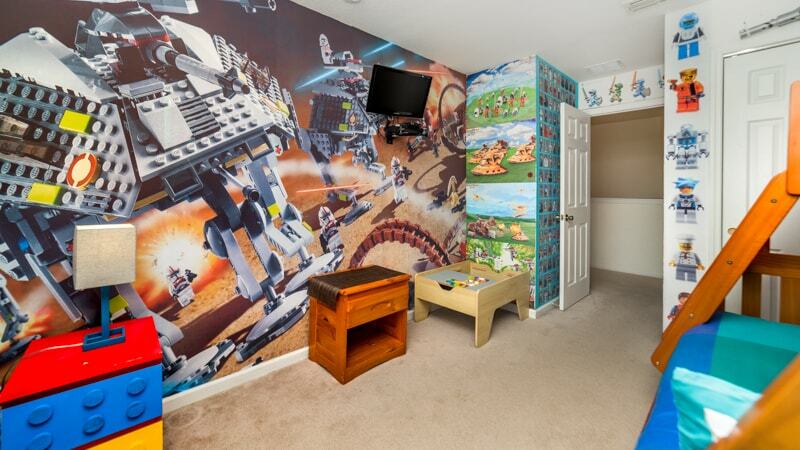 There is much more for entertainment. 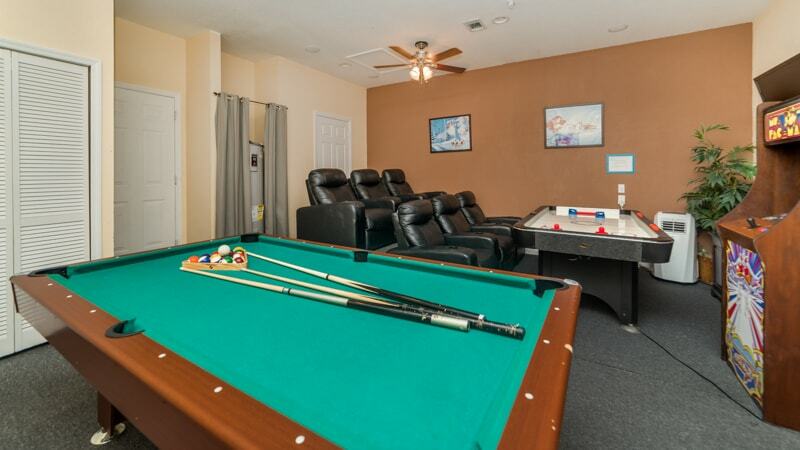 The home theater boasts a 55” TV and the gameroom has games like billiards and air hockey. 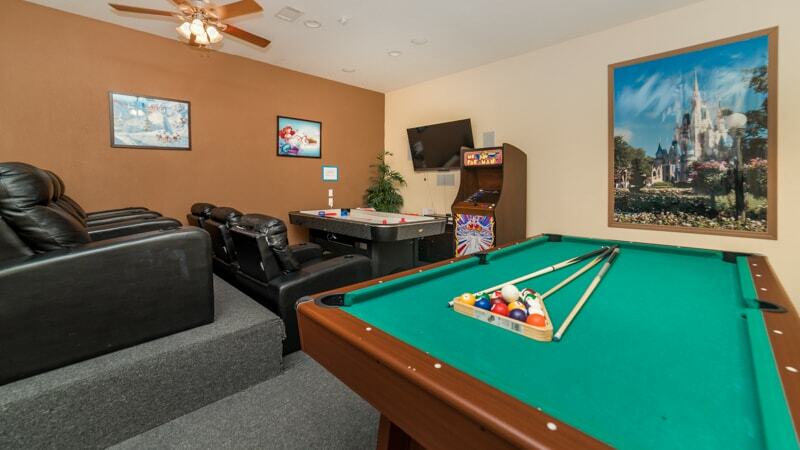 After family game night, go out back for a swim in the private pool and spa. 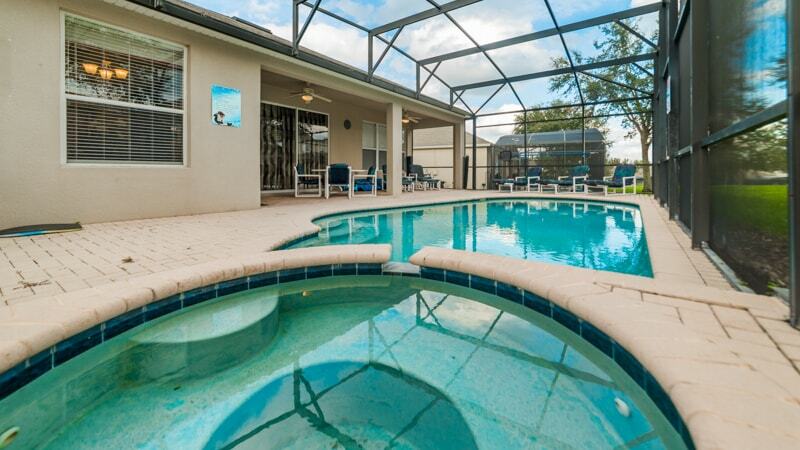 This home also comes with access to the Windsor Hills clubhouse. 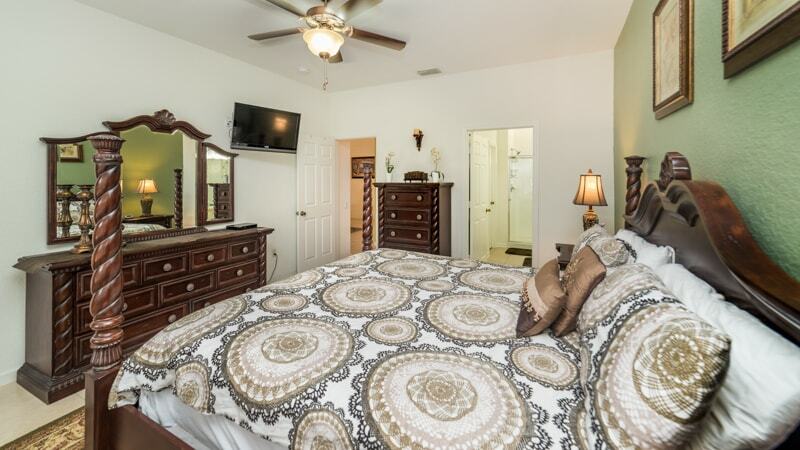 Book your stay today and change how you vacation!